This entry was posted on Tuesday, November 1st, 2016 at 5:35 pm and is filed under Hacking, NeTV. You can follow any responses to this entry through the RSS 2.0 feed. Both comments and pings are currently closed. Hi Bunnie, looks very nice. 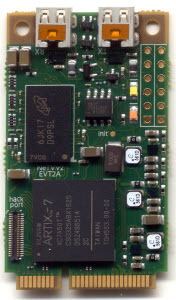 But may I ask why you’ve opted for the separate MCU (instead of a fixed SPI/platform flash on the FPGA)? To make programming easier via USB on the PCIe connector? 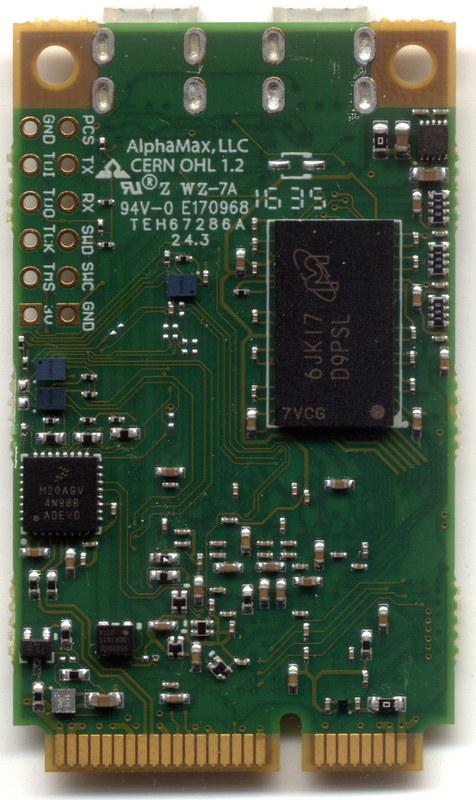 The MCU is connected to the USB port embedded in a mPCIe card, and also connected to the FPGA configuration SPI ROM. 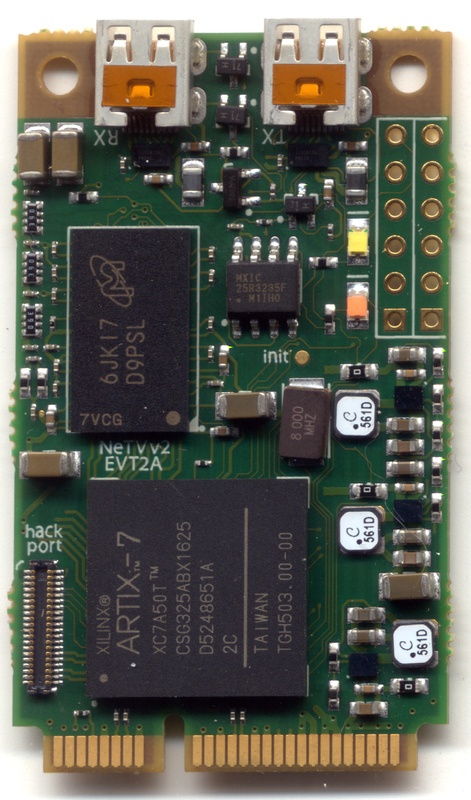 The ultimate idea is to make the product easier to customize by exposing a USB-based FPGA firmware update mechanism. 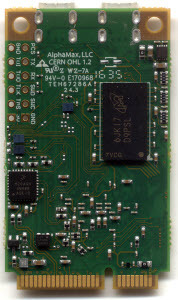 If we used just a fixed SPI, then users would have to first acquire some sort of SPI programming device in order to customize the NeTV2’s abilities. Very cool to see this! I was checking out the details on the Alphamax wiki and noticed the Altium schematics link was broken. I created an account to try to fix it but didn’t get any edit permissions (and I couldn’t create the Talk page to mention it there). It’s easy to figure out given the PDF version of the schematic but seemed worth fixing. Thanks for all your work in HDMI it is very usefull! Looking in the dvi_encoder_v2.v appear to not transmit the TERC4 (dat_ena not used). Do you have plan to support data island packets in the transmitter? I learn something new. This ‘add- in card’ is the new way to enlarge the space capacity. Thanks, Bunnie.